"The mountain has fresh eyes"
With several new physical changes taking shape at Crested Butte Mountain Resort before winter, the resort has undergone a management reorganization to match. CBMR has created two new senior management positions this fall and moved several existing managers into different positions. The mountain operations and marketing communications departments have experienced the biggest changes thus far. CBMR co-owner Tim Mueller says the recent changes are directed at strengthening CBMR’s image as a ski resort and increasing skier visits. 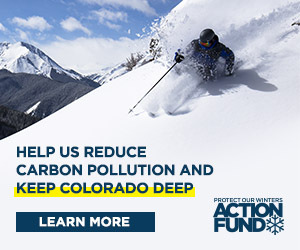 "We want to make it known as one of the best ski areas in Colorado, and in the country for that matter," he says. To do this, Mueller says both physical changes, such as ski area improvements, and personnel changes are needed. Mueller says with the exception of a new position called mountain planner and a new chief marketing officer, the management structure of the resort has basically stayed the same. CBMR general manager Randy Barrett says the company is re-arranging its personnel to find the best fit for each individual. "The mountain has really come a long way in the last few years…how do we get a team we think takes it to the next level?" he says. Barrett says it’s common for ski resorts to re-evaluate their personnel structure each year to get fresh perspectives on how their companies are run. Barrett and Mueller say the changes are not in response to the resort’s performance, which CBMR consultant John Norton noted at a recent Crested Butte Town Council meeting is down 40 percent from its peak in the mid-1990s. CBMR’s new vice president and chief marketing officer Ken Stone says the personnel changes may be due to the company pursuing several new development projects and a larger scope of work. "There have been a lot of rapid changes, for instance, the ski area getting back in the lodging business," Stone said, referring to development plans for Mountaineer Square North and the North Village, as well as the resort’s operation of the Grand Lodge and the Elevation Hotel and Spa. These projects will bring more hotel business, real estate and property management needs Stone says. "Suddenly we’re in a whole new arena with all these new properties and new developments," he says. The new focus has led to several staff changes. Specifically, CBMR has been shuffling its mountain operations staff. CBMR created a new position called mountain planner and hired former mountain manager Roark Kiklevich to fill the position. Mueller says, "that is a new position designed to really be a coordinator with the forest service and the processes we deal with in permitting." Citing the anticipated submission of plans for the development of Snodgrass Mountain Mueller says there’s a heavy workload involved in permitting and, "it’s going to take somebody to keep that on track." In addition, former ski patrol director Jack Gibbons was hired to replace Kiklevich as the mountain manager. A new ski patrol director has not been named. On the marketing and communications side, CBMR hired Stone as the new chief marketing officer. Mueller says Stone was hired because "we want to take our marketing and communications to the another level." Former vice president of marketing Gina Kroft now holds the title of communications director, according to Barrett, and former communications director April Prout is now the public relations manager. Barrett says the new marketing lineup is about getting the mountain "fresh eyes." In other personnel areas, Kathy Goddeau was hired as the director of conference sales. Mueller says the new position was needed to oversee the operation of the resort’s new conference center. In addition Rebecca Bell, tickets and pass sales manager has also taken on management responsibilities for the rental shop. The head of risk management, Lillie Hughes, was named director of human resources. Barrett says the changes have not been difficult and the CBMR team is excited to begin the ski season. "Everything seems to be going really well, there are lots of folks coming on board. We’re excited to have a great ski season, the changes we have made will help us have that," Barrett says. "Now we just have to perform and have the results. The team is ready."